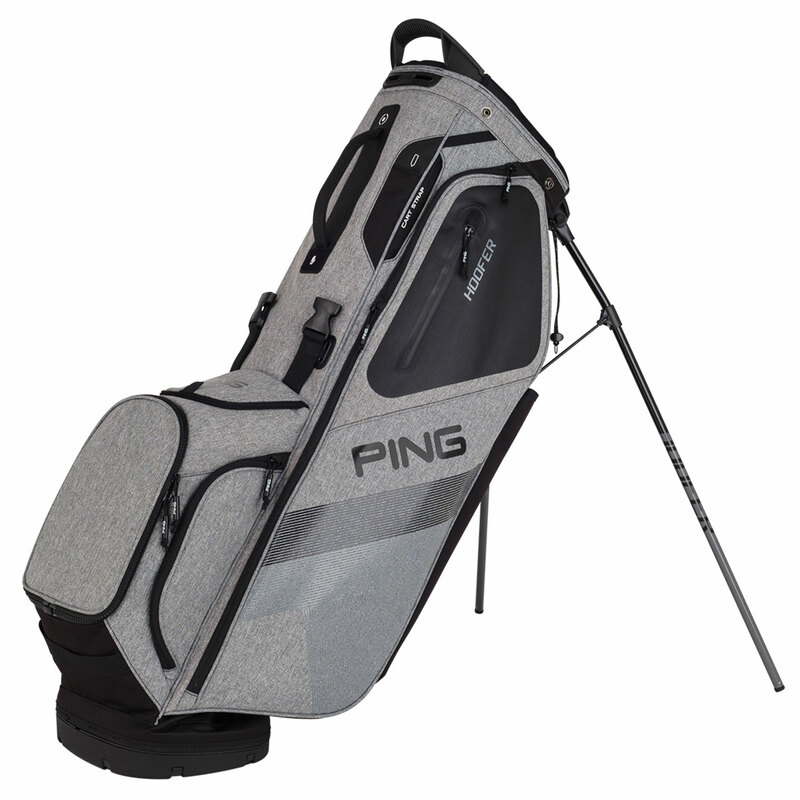 The PING Hoofer carry bag features a backpack style carry that ensures comfort. The Hoofer incorporates a dual strap system for customising the fit, with front adjusting shoulder pads that feature SensorCool technology maximum comfort during your round of golf. The bag has a high-denier polyester construction which provides long-lasting quality, and has an automatic stand and lift assist handle for more performance. 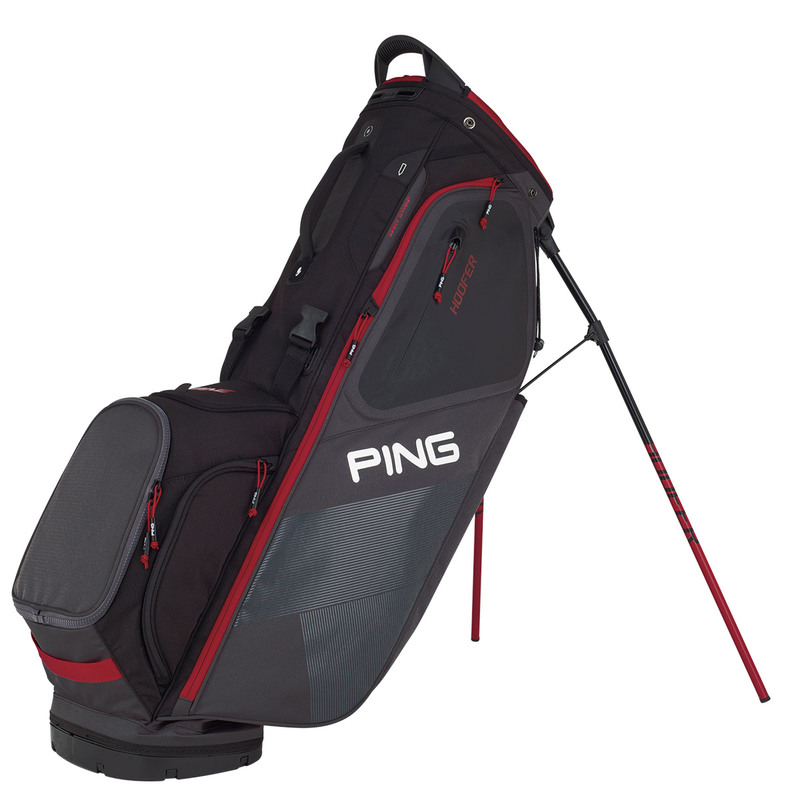 The bag has an impressive total of 12 pockets to take everything you need to the golf course. These include a padded valuables pocket with a slip pouch which is perfect for ensuring your expensive items are protected. There is also a rangefinder, water bottle, magnetic quick access pocket to keep everything organised. The 5 way top provides organised storage of golf clubs, while an umbrella holder keeps your umbrella in place in case the rain falls. There is also a deployable rain hood attached inside the hip pad and has a zip-off customisable logo ball pocket.